is a Gothic Revival villa that was built in Cape May, New Jersey in 1869-1870. The house, which is listed in the National Register of Historic Places, has been handsomely restored and is currently operated as a popular bed & breakfast inn. 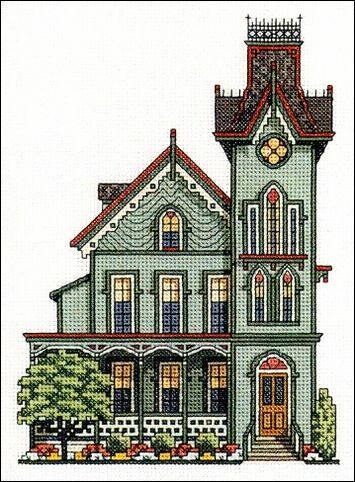 The main colors of the design are green with off-white trimmed gables, windows and porch, and terra cotta accents. Stitch count is 80w x 114h.